Dr. Ashish Jain is an internationally trained and experienced Joint Replacement Surgeon, currently practicing in New Delhi, India. Dr.Ashish Jain has years of surgical experience and has special expertise in Joint Replacement Surgery. After completing his MBBS: Kasturba Medical College, Manipal, Karnataka. He did his M.S [ORTHO.] from the same college. 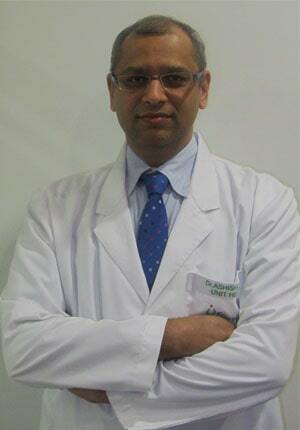 MBBS MS (Orthopedic), Fellow in Computer Assisted Knee Replacement surgery (Hamburg, Germany) He qualified his MBBS from Kasturba Medical College,Manipal and then did his MS(Masters in Orthopedic Surgery)from Kasturba Medical College,Manipal. Dr. Jain's areas of specialization includes Joint Replacement Surgery for the joints of upper and lower limbs (Primary and Revision) and Trauma Management based on AO Principles. He is one of the few Ortho. 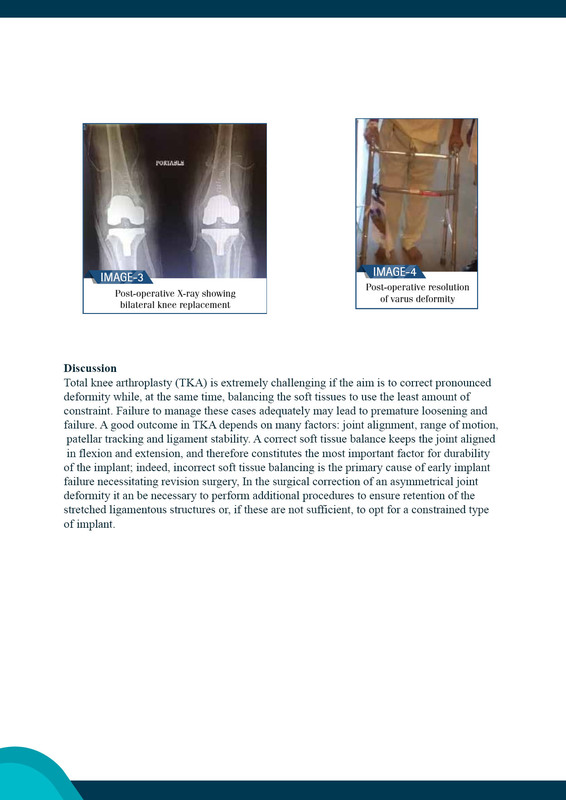 Surgeons in Asia who is also trained in computer assisted joint replacement surgery. He has received training at Hamburg, Germany for the same. He is also member of Delhi Orthopedic Association, Indian Orthopedic Association, Indian Association of Arthroplasty (Life Member) and Indian Society of Hip and Knee surgeons (Life Member). 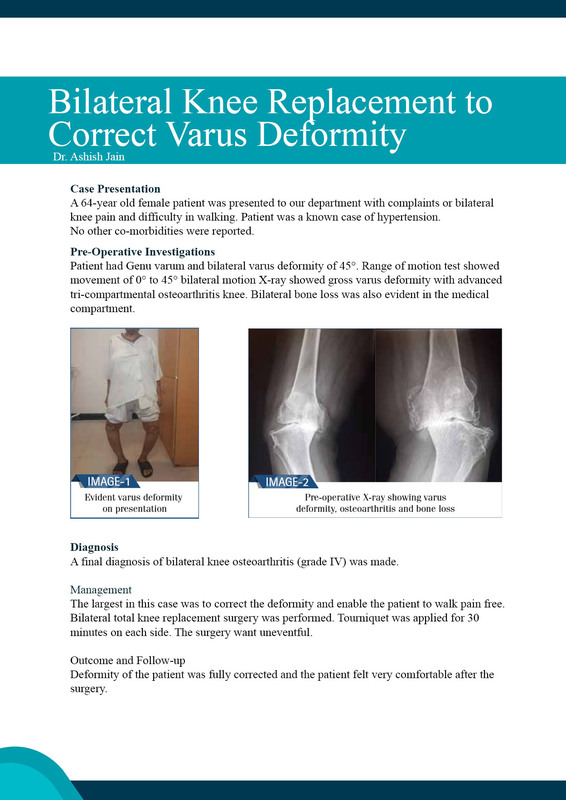 His persistent insistence for perfection has helped him attain excellent results for knee and hip replacement surgery which are unmatched for. He believes in result oriented and patient satisfying surgery. Not only surgeries he is actively involved as a key speaker in many a CME, seminars and camps. He is also a pioneer worker for stem cell treatment in orthopedic (AVN hip, non-unions and spinal injuries). The hospitals are in tune with the latest technology that promotes the health care and well-being of the patient. Operation theater is equipped with laminar airflow and the most sophisticated equipment for replacement surgery. Post operative care involves the use of most sophisticated methods to control pain and hasten recovery, such as epidural pump, sequential compression device and CPM. All these ensure an excellent range of motion of the joint and a quick return to a normal active pain free life. 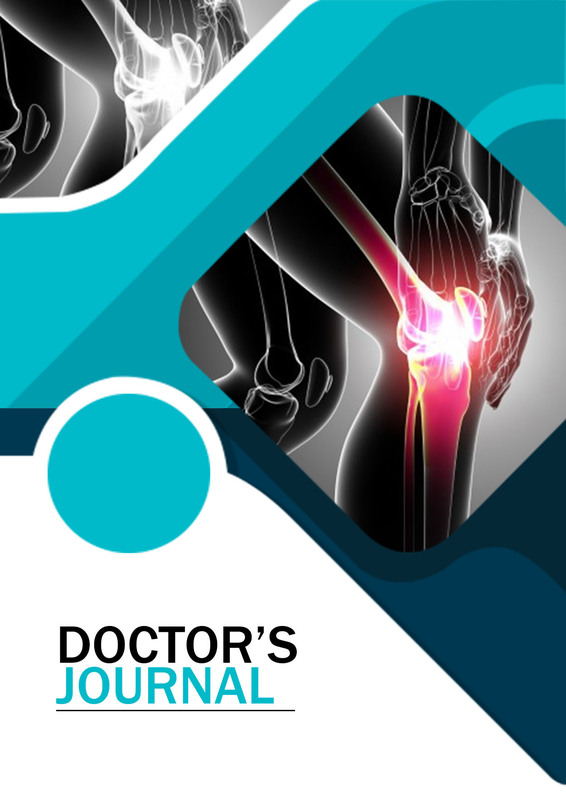 Dr. Ashish Jain is the best doctor for knee replacement in Delhi.